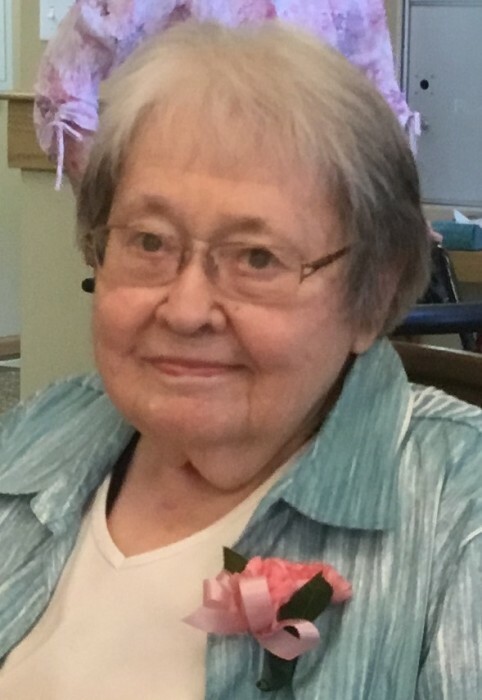 Mildred Daley, age 91, passed away Sunday, August 12, 2018 at Evans Memorial home in Cresco, IA. A Mass of Christian Burial will be held 11:00 a.m. Thursday, August 16, 2018, at Notre Dame Catholic Church, with Father Dennis Cain officiating. Burial will be in Calvary Cemetery. Visitation will be one hour prior to the service at the church. There will be a family Rosary Service at 9:30 a.m. before the visitation on Thursday. Hindt-Hudek Funeral Home is in charge of arrangements. Mildred Marjorie Polashek was born on June 29, 1927, in rural Cresco, Iowa to William J. and Rose A. (Prasek) Polashek. She attended St. Joseph’s Elementary School, graduating from Cresco High School. On June 23, 1953, she was united in marriage to John R. “Jack” Daley at St. Joseph’s Catholic Church in Cresco, Iowa. Mildred worked as a legal secretary for Frank Elwood and later Bob Story for many years. She served as a stenographer for the ACCW before she was married. She enjoyed traveling with Jack. Mildred was an active member of Notre Dame Parish, Circles of Faith, and in the ACCW. Mildred is survived by her sister Connie (Dr. Stan) Kepros of Cresco, IA, brother-in-law Bill (Wilma) Daley of Cresco, IA, and many nieces and nephews. She was preceded in death by her parents, her husband Jack in 2013, and two sisters: Sister Eloise (Amelia) Polashek and Rita Kepros.